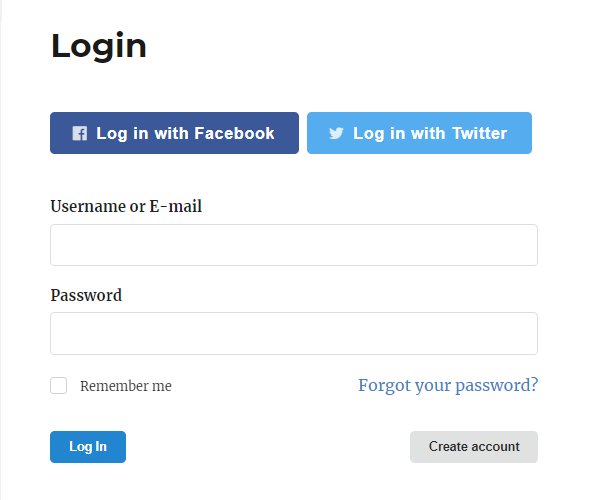 Social Login addon allows you to enable Facebook and Twitter registration/login to your site very quickly and easily. Login just in one click! Choose which social network would you like to use, or use them both for more convenience. How do I get started with Social Login addon? Light Social login procedure has a mass of amusing advances like easy registering and logging in one click. 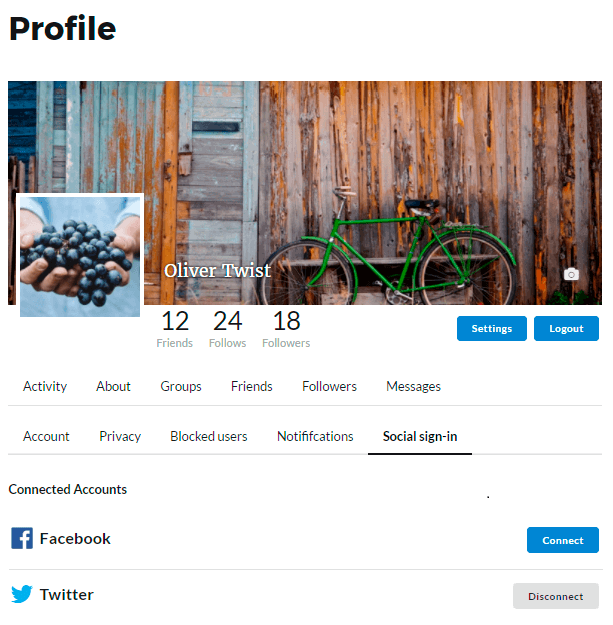 Also your clients have brilliant ability to manage connections to personal Facebook and Twitter accounts at Social Sign-in section of Main Settings Tab in Membership Profile. Managing is simplified to 2 buttons “Connect” and “Disconnect”. 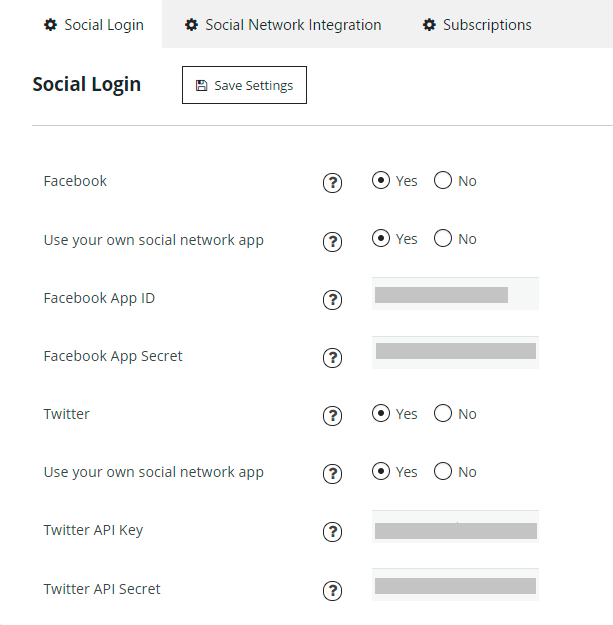 Read more about Social Login Settings here. 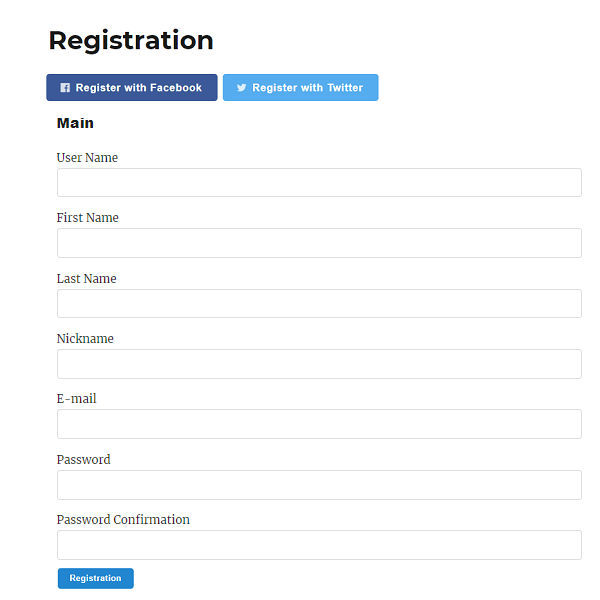 Why do I need a Facebook Registration/ Login? As you can see at social marketing statistics of different statistics research companies reports, Facebook is one of the most popular social networks all around the world to use for social login to other sites for different purposes. Don’t miss to provide ultra comfortable first time registrations and further login for your Membership Users with Social Login Facebook feature. The quicklier users can become members, the more members your can involve to your business as clients and partners. To connect Membership plugin with Facebook you need to create your Facebook Application at first. In order to do that follow the tutorial How to integrate Membership plugin with Facebook. Why do I need a Twitter Registration/ Login? Twitter is one of the top three most popular social networks to register and login to the new sites. As so, not everybody use Facebook for these purposes, we know how to engage people with other tastes and include them to your registering statistics! Use Twitter to satisfy most whimsical potential clients to come in to your Membership campaign. To connect Membership plugin with Twitter you need to create your Twitter Application at first. In order to do that follow the short tutorial How to integrate Membership plugin with Twitter.